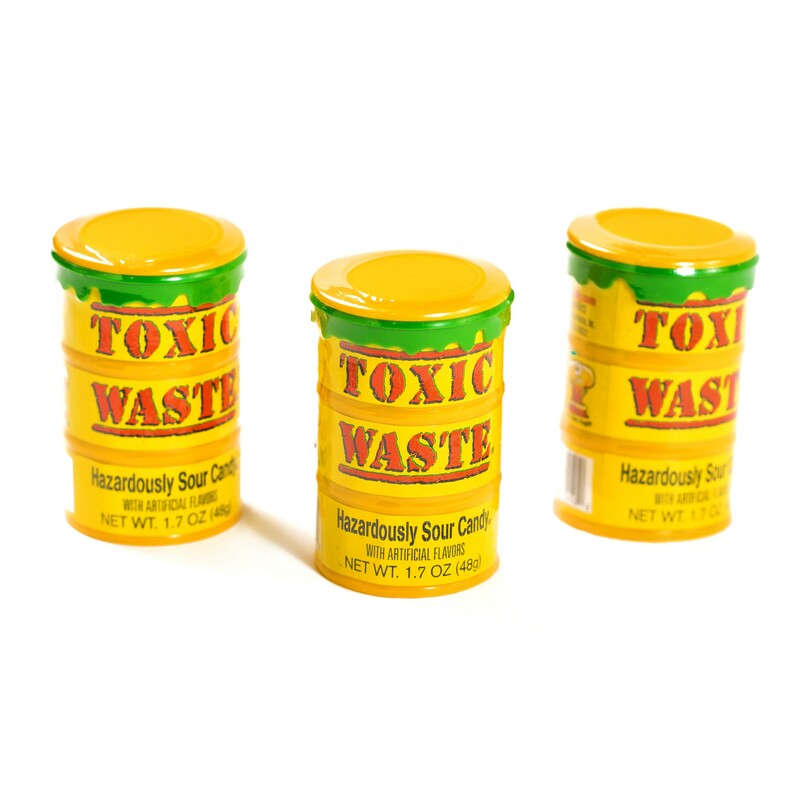 Toxic Waste Candy from Metro, assorted hard candies in super-sour flavors, so sour they're officially proclaimed Hazardously Sour! 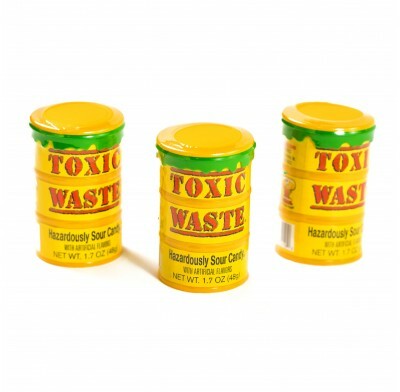 Each container is shaped like an overflowing drum of Toxic Waste. 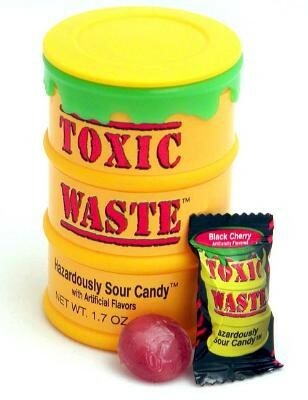 We dare you to take the Toxic Challenge! Packaged candy comes 12 pieces per pack.